We think so – which is why we developed our home cleaning services, and we now cover the Brighton area too. Give yourself some time off and do those things you enjoy rather than ‘have’ to do. Our Myhome Brighton Home Cleaners can take care of the chores for you. The first step to having your home regularly cleaned by Myhome is a visit from our local manager who will take a look over your house and provide an on the spot, no-obligation quote. This will always be confirmed in writing, then you have the time to make your decision. You then decide how often you want your home cleaning – it can be as often or as little as you like, we’re completely flexible around you. When our Brighton Home Cleaners arrive to do the job they’ll be following our uniquely developed Tri-Colour System. 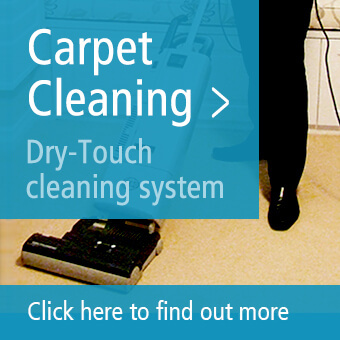 Using this means they’ll go through your house with great detail ensuring our highest standard of cleaning. Our Tri-Colour Home Cleaning System works by splitting your home into 3 colour-coded areas, each with it’s own corresponding products to ensure hygiene, consistency, efficiency and less intrusion. You can take a look at our Tri-Colour Checklist here. You’ll see it covers everything. Having this also means you have complete transparency over what should be cleaned in each room. And, if you find something has not been cleaned to the right standard, you’ll know and can let us know. If you’d like to request a quote or you’d like some further information, you can call us on 13 22 31.